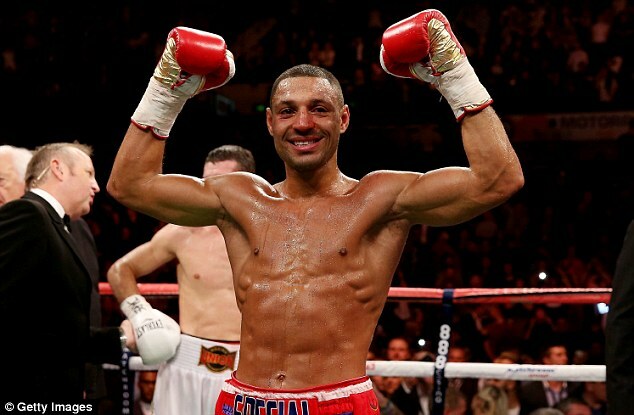 For a long time Kell Brook slipped under the radar. Not in terms of “Special K’s” name value or media image. Almost from the moment he turned pro at 18 boxing fans have been inundated with promoters, trainers and fellow boxers telling us how special he is and the mantra over the last few years is how it was a certainty that Kell Brook would be “the next” world champion. Likewise, it seems impossible to turn on a boxing broadcast in this country and not see Brook as either an analyst or in attendence. No, as a British boxing fan it’s been near impossible to miss Brook. But we never held him and his promoters to the standards we do others. Think about the above paragraph again. For years we’ve been told that he is a special boxer. That he will be a world champion. That he is one of the elite, one of the best, that it is only a matter of time before he fulfills his destiny. And yet who has he faced? There have been impressive performances sure… he destroyed Hector David Saldivia, smashed Carson Jones in their rematch, outclassed Lovemore Ndou and dominated Michael Jennings. In truth there is probably only a handful of bouts where he has looked underwhelming and only one bout where he looked bad (the first bout with Jones). But look at those names. Were any of them seen as world class? Were any of them seen as world beaters? Boxing fans have a tendency to mock those who can’t match their hype with their achievements. We ridicule Deontay Wilder for continuing to face scrubs. We laugh at Amir Khan and how he declares himself one of the best in the world. Nathan Cleverly was widely mocked for facing the likes of Shawn Hawk while talking about facing Bernard Hopkins. And do I really need to talk about how Audley Harrison and his constant comments that it was his destiny to be world heavyweight champion were viewed? Yet Kell “Special K” Brook was rarely criticised for this. He’s 27 years old. Going into this bout he’d had 30 bouts. He’s been a pro for nine years. And yet his was still spinning his wheels; too good for domestic class, too good for fringe international boxers but either unwilling or unable to take that step up to the next level, to really push on and make a run for a world title. And yet he and his promoters had managed to escape most of the mockery and criticism that normally comes with that. Way back in 2010 Brook’s victory over Kennings was a WBO eliminator… yet here we are three years later and he’s still not boxed for a world title, let alone held one. Criticism had started to appear in recent months, notably in the wake of the long delayed and then eventually cancelled bout between Brook and IBF champion Devon Alexander. 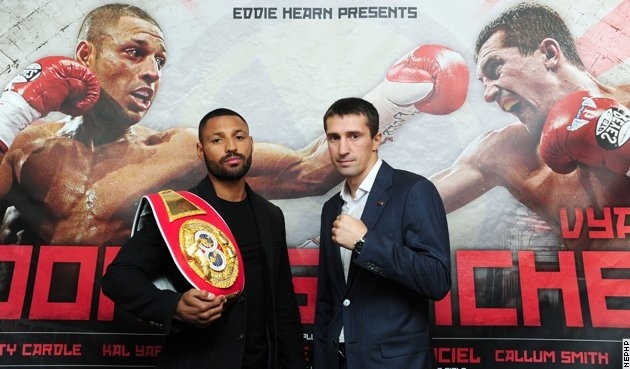 People started to question whether Brook really wanted to face the best or whether he was content to stand his ground, earning good money as an attraction in Sheffield, unwilling to take the risk of facing a higher level of competition. That he wanted to win a world title the soft way, waiting for a vacant belt to appear rather than to go off and beat a title holder. And that’s why this bout with Vyacheslav Senchenko was important. Another weekend and we seemingly have yet another British card with yet another British fighter right on the verge of world title contention. This week’s contestant is Kell “Special K” Brook, an undefeated 27 year old from Sheffield with a 30-0 record. I sort of have a love/hate relationship with Brook as a fan, much of which is out of his control. He’s clearly a talented boxer but as a fans we’ve been told by his promoters (originally Frank Warren and now Matchroom) that he’s “the next” world title holder for at least the last three (if not four… if not five…) years… and yet here we are, years later and she’s still not a world champion and still not had his title shot. Fairly or unfairly that tends to build a level of resentment… Nathan Cleverly went through the same thing as a match with Hopkins was constantly mentioned only for us to instead get Robin Krasniqi. Perhaps most frustratingly of all, Brook could have already had a title shot but a series of injuries meant that the hapless Lee Purdy replaced him and while the Colchester man was brave, he was utterly outclassed by Devon Alexander. A win here and Brook is, supposedly, guaranteed a title shot early next year.